This was the performance that changed and made The Who! The sun came up just as Roger Daltrey sang See Me, Feel Me. In the middle of the show, you'll hear what's called The Abbie Hoffman Incident. Hippy leader Abbie Hoffman gets on the stage and screams something about John Sinclair (whom John Lennon has a song about) being in prison (for a pot bust). Townshend isn't interested as you'll hear! For many Who fans and collectors, this is their best ever show. They end with a riff that later became the song Naked Eye. You've seen Seen Me, Feel Me and the guitar smashing part on the Woodstock movie. Maybe you've heard or seen Sparks, Pinball Wizard and See Me, Feel Me on The Who's The Kids Are Alright cd or video. 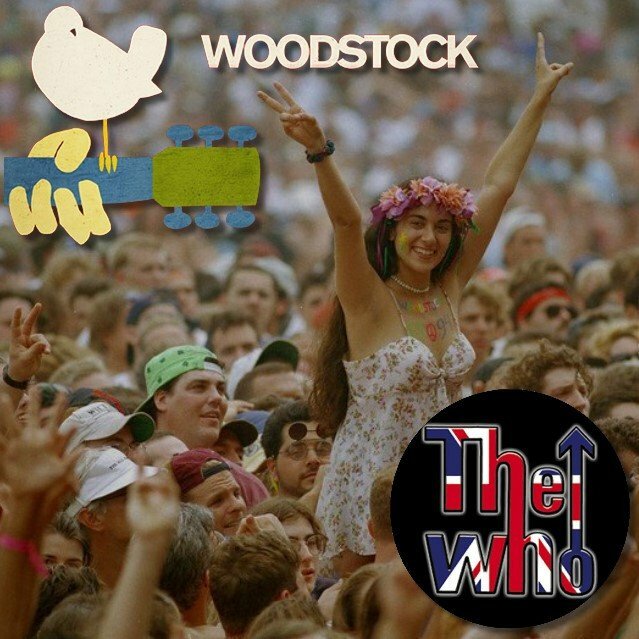 As far as the lineage goes - there are many versions of The Who at Woodstock. I had about 6 and sent them all to one person to remaster. This is what he came up with and we call it "Remastered 2002". Most of it is based on the Great Dane bootleg "Woodstock - The Lost Performances". 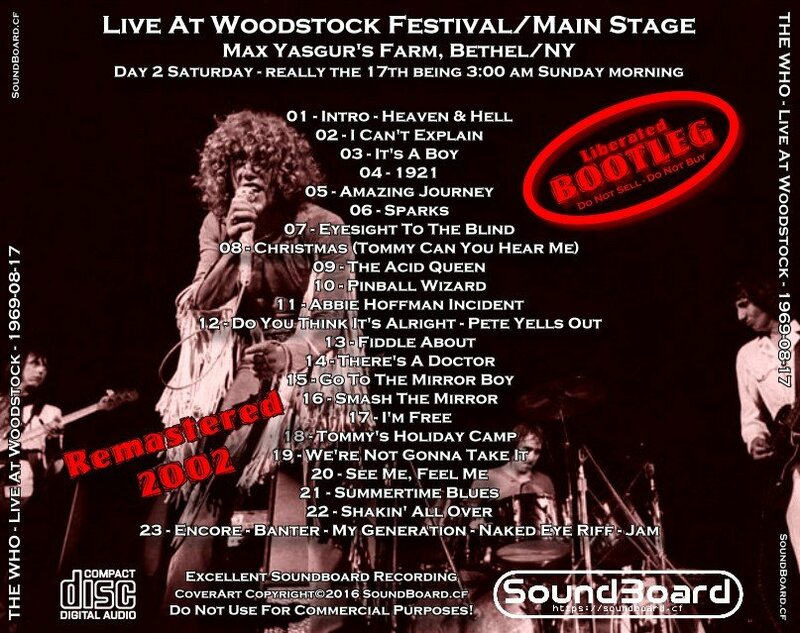 Live At Woodstock 0 out of 5 based on 0 ratings. 0 user reviews.